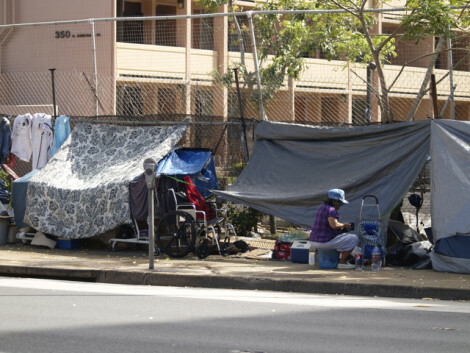 So much effort and financial resources have been spent on mitigating this housing issue here in Honolulu. 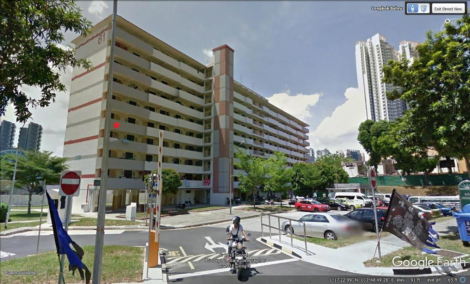 I wanted to share my private story as a young girl in Singapore, relating to housing. Long story very short, my mother’s father warned her not to spend time with the popular and handsome guy in the Holland Road neighborhood. My maternal grandfather was an affluent business trader. My paternal grandfather was also an affluent businessman and community headman. But my young mother ended up eloping with my father; later to find out he already had a wife and children. He would later add a third wife. My maternal grandfather disowned her; my mother was too proud to seek reconciliation or for help with her children. The father and daughter would reconcile decades later. I was the seventh child but I don’t remember my father in my early childhood days. He must have visited us at least ten times; I have seven brothers and two sisters! Mother became a washerwoman – a human traveling washing machine. She was intelligent and spirited but did not attend school because her very traditional father thought it was a “waste of rice” to send daughters to be educated. (In fact, Grandfather was so traditional that when he died, he left all his assets to his first born son only.) I always thought that, if my mother were formally educated, she would have been a great partner with the former Lee Kuan Yew, the Founding Prime Minister of Singapore. They were so much alike. She was very intelligent, spoke many languages, a natural leader, but unlucky with her love life. I remember living in a rural attap house in my early years. It was supposedly haunted. No one dared to live there so my father moved our family into that house. We had the best childhood. We were poor but we didn’t know we were poor. My stomping grounds were up in the big tropical trees and exploring the rural surroundings. We walked miles to the public school. Kind neighbors gave us their daily newspapers after they were done. My mother raised pigs, tilapia, chicken, and vegetables. We used a community water well and had an outhouse. On the other side of our rural neighborhood were huge beautiful concrete homes with indoor plumbing, huge bathtubs, ceramic tiles, and beautiful landscaped yards. 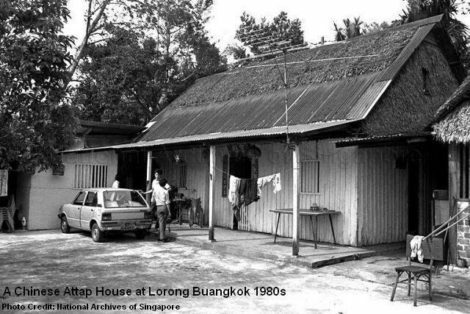 These homes were usually occupied by foreign executives or foreign journalists based in Singapore. When fire burnt our attap house down, we had to relocate. We moved into this Lengkok Bahru flat below.. The unit was very small – a living room, one bedroom, a small cooking area and one bathroom. It was probably about 700 square feet. It was a corner unit on the fifth floor. The eleven of us moved into that cement block. It was a big adjustment for us. My assigned sleeping space was on the back open “patio” where my sisters and I slept on the concrete floor. I remember growing out of it when my feet and my head eventually touched the ends of that patio space. The rent was very cheap; I believe it was 25% or less than what my mother earned as a washerwoman. The Singapore government provided inexpensive units like these to provide public housing. Singapore was transforming from a third world country then. Although it was congested; we made do. My mother focused on our education. Although my father was an alcoholic and chain-smoker, none of us emulated him. She took charge of her children’s welfare. None of us dared to misbehave or become delinquent because she was strict, supervised us, and expected much of us. While other neighbors sent their children to work at hawker stalls or other minimal wage jobs; she sent us to schools. We participated fully in the public school extra-curricular activities. We were avid readers. One of my favorite memories was receiving free reading materials from the American Embassy in Singapore. The printed materials ranged from biographies of American Presidents to Will Rogers to Chief Sitting Bull. My brothers and sisters all became educated. My first and second brother did not pursue university education so they could support their younger siblings. They became a public school teacher and policeman respectively. The rest went to college and obtained professions like Human Resource Executive with a top American firm; a top executive of the biggest firm in Singapore; a Navy Captain; television business news editor and so forth. I spent a chunk of my childhood years at the public housing (about ten years) till I left Singapore at the age of seventeen to attend college in Hawaii. Why am I sharing this personal story? Life would have been so much more difficult for our family if we did not have an affordable and safe roof over our heads. We never had to worry about having a roof over our heads. We never had to worry whether the police or county workers will seize our tents or personal papers at 2:00 in the morning. Although it was congested living; our housing was safe and sanitary. That little unit allowed us to feel secure and focus on other pursuits that bettered our lives and allowed us to contribute to society. There is obviously no one silver bullet to solve homelessness in a mostly “cash” economy. Homelessness is a complicated and multi-faceted issue. Other various solutions, such as counseling, educational and social support are also needed to address this. But, we urgently need honest and efficient leadership at City Hall. Incumbent Mayor Kirk Caldwell is failing. There is too much politics and “pay to play” involved. There is, no doubt, a continuing need for the services of the many non-profit groups that offer counseling and related services. Funds that are ear-marked for addressing such issues must be spent as such and not mismanaged or plundered. 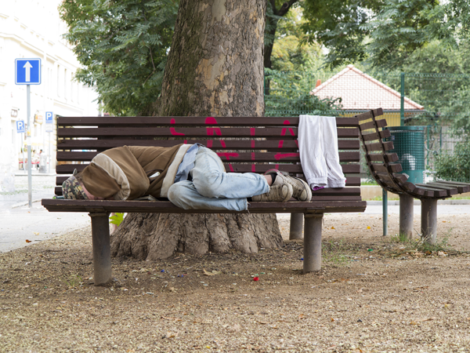 Ultimately, the primary and long-term solution to homelessness boils down to a roof over the head, whether it is in a mental support institution or an ordinary lodging. One way is to build simple, safe and permanent living quarters and to efficiently manage and maintain them in perpetuity for those in need. Certainly it should never evolve into a generational dependence but these housing resources must be available in a humane society like ours. So-called partnering with private developers to provide a certain percentage of “affordable units” for 30 or 60 years is inadequate and short-sighted. It’s bad public policy planning. What will happen in 60 years? 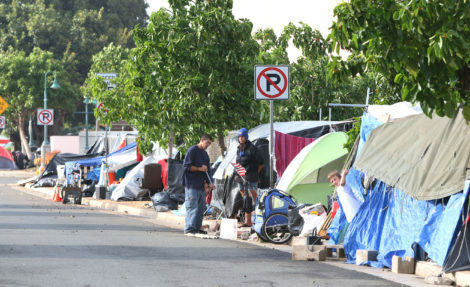 The costs of living in Oahu will surely rise and the housing problem will only get worse. There are supposedly many real estate holdings owned by the State and City along the proposed 21-square mile Honolulu Rail Transit Corridor. Why not solidify and consolidate the resources and build affordable rental units now? We have seen high rise buildings appear like mushrooms in Honolulu. Why not focus on affordable rentals now? 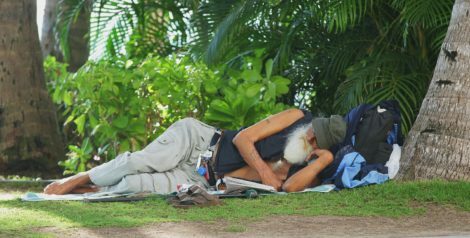 Providing and maintaining affordable rentals in perpetuity will help solve a big part of our homeless problem in Oahu. Note: Some photos are taken from Public Domain. Mahalo. 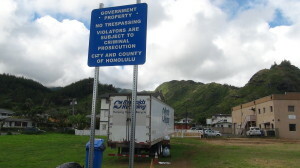 It’s Oahu’s best kept secret that the Kahuku Municipal Golf Course was never owned by the City and County of Honolulu. The city leased the pristine grounds that included sandy beach frontage, sand dunes, and plantation-era graveyards as a ‘municipal’ golf course. Unknown to most, this ‘public’ course has been on a month-to-month lease for many years. The 122-acre beachfront course opened in 1937 through the sweat and toil of the plantation camp workers, on land owned by the Estate of James Campbell. There is nothing ostentatious about this nine-hole walking golf course except the setting is peaceful and it provides inexpensive recreation for locals of all ages. Users enjoy it without much ado or fancy expectations from the City and County. 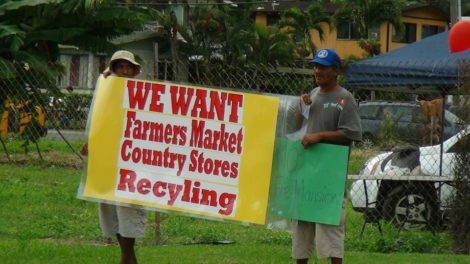 As Oahu continues to grow, the need for such open space will become more acute, not less. When the Campbell Estate dissolved its 107-year-old Trust and conducted a fire sale of its assets, this ‘municipal’ golf course was a part of a private bulk purchase by Continental Pacific, LLC in 2006. Continental Pacific, LLC (CP) focuses on acquiring large tracts of real estate and reselling them for profit. 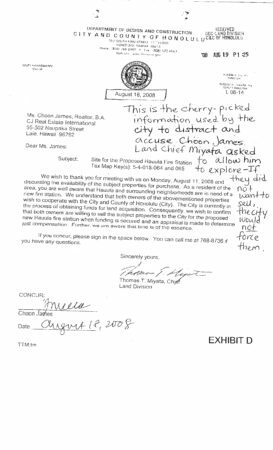 Although a few local activists had raised concerns about losing the ‘public’ course at that time, neither Councilman Donovan Dela Cruz nor Mayor Mufi Hannemann seized the opportunity to ensure that this ‘public’ golf course remained in public hands. 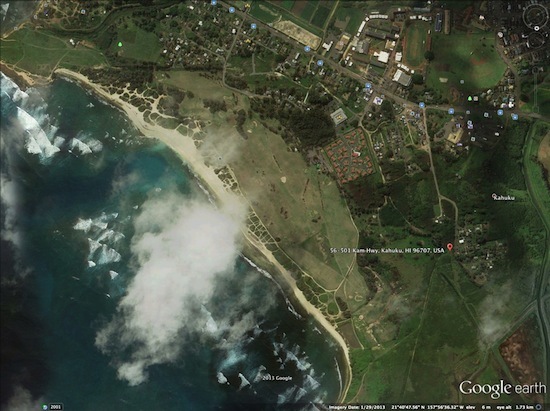 Acquiring the historic Kahuku Golf Course and the Plantation Camp Village would have been the right direction to take. The city has a history of land-banking property for future parks and saving historical plantation camps to avoid massive social disruptions and homelessness. Also, this iconic region is a golden goose for Oahu’s tourism industry. There are compelling reasons to preserve the open space and rural charm of this region. The 2008 financial crisis created a severe downturn on the economy that dampened many real estate ventures. There was a lull in flipping real estate for profits. Having missed the first wave sale from Campbell Estate in 2006, the city could have stepped up to acquire the Kahuku Golf Course when Continental Pacific, LLC predictably listed the Kahuku Golf Course for $10 Million in 2011. Continental Pacific, LLC had no buyers then. It was unfortunate that city hall again failed to capitalize on this subsequent window of opportunity to put in Golf Course in public hands. It was not that the City Council Chair Ernie Martin didn’t try. 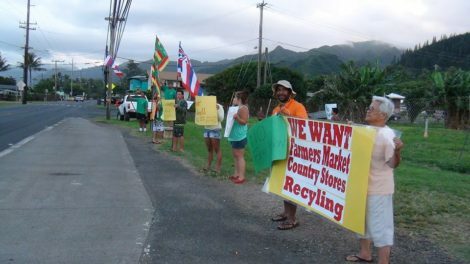 In April 2012, Honolulu City Council Chair Ernie Martin, Budget Chair Ann Kobayashi, and the Council unanimously adopted and funded Resolution 12-089 — urging the Mayor to initiate the acquisition of the land beneath Kahuku Golf Course. 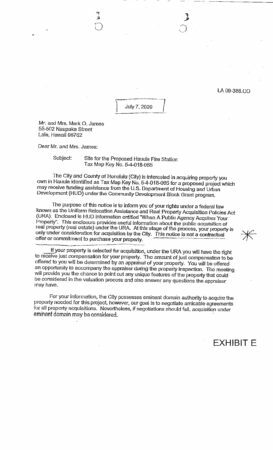 Then-Mayor Peter Carlisle and current Mayor Kirk Caldwell both declined to cooperate with the City Council. 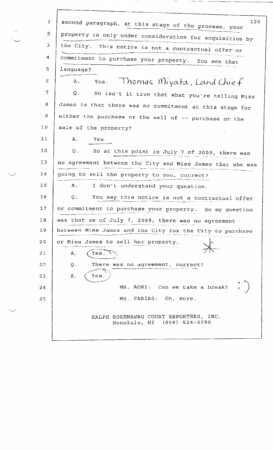 In September 2013, the public learned that CP was negotiating a purchase with a Chinese investor for the Kahuku Golf Course. The public submitted petitions to preserve the course to Mayor Kirk Caldwell with no success. 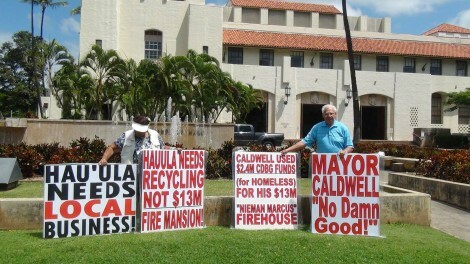 On Oct. 10, 2013, Mayor Caldwell’s representative to the Ko’olauloa Neighborhood Board — Justin Gruenstein, former campaign chair for ‘Hannemann for Congress’ — tried to explain Caldwell’s non-performance. Gruenstein attempted to soft-sell that it would be too expensive to own the course and bring the golf course up to city standards. The city had no money. 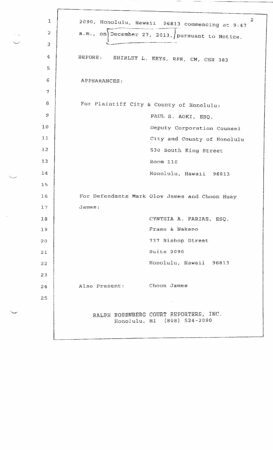 Thus, acquisition of the $11 million 122-acre beachfront golf course that has been in public domain since 1937 was off the table! Gruenstein stated the approved funds would revert to the City General Fund. The public’s response to Gruenstein’s excuse was “baloney.” The city could land bank. The city owned many properties that were not maintained nor fixed up to city standards. 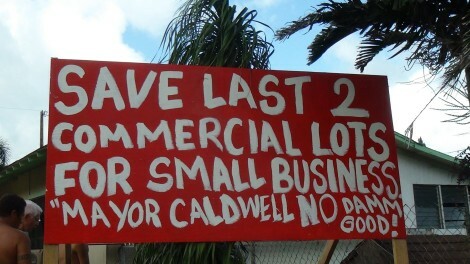 It’s outrageous to see Mayor Caldwell’s arbitrary responses towards issues with great consequences. On one hand, Mayor Caldwell insists that the city has no funds to upgrade the Kahuku Golf Course upon acquisition and Continental Pacific is a ‘private property owner’ he should not involve the city with. On the other hand, this same mayor is threatening, including eminent domain abuse, the owners of a small privately-owned lot of 20, 300 sq. 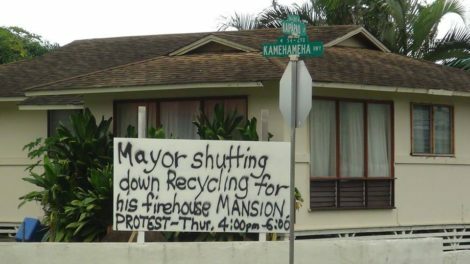 ft. in Hau’ula, just ten minutes south of the precarious golf course to build his pet $13 million fire station relocation project. 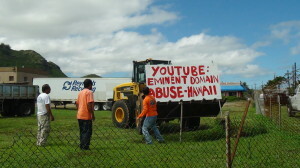 Additionally, next to the golf course sits the Kahuku Plantation Camp, also acquired by CP, that is facing massive evictions. Generations of plantation workers and their posterity are facing controversial evictions. The City Council adopted and funded Resolution 12-90 to prevent this massive social disruption and homelessness in this 71-home compound. But again, Mayor Kirk Caldwell refused to collaborate with the council by fiddling the same arbitrary tune of respecting Continental Pacific as private property owners. 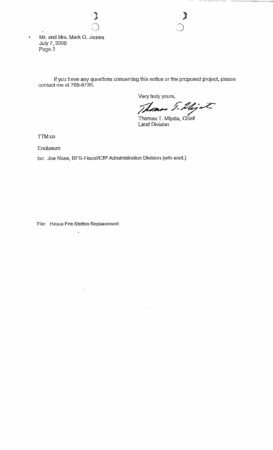 Mayor Kirk Caldwell’s constituents tend to conclude that his non-performance could be due to the fact that the attorney — Lex Smith who is representing Continental Pacific, LLC – was also his mayoral campaign committee chairman in 2012. The mayor denied any influence. It’s tough to figure out Mayor Kirk Caldwell’s logic and his fiscal priorities. Honolulu deserves fact-and-merit-based collaboration with its citizenry in order to ensure that everybody wins. It would be a travesty for Oahu if politics will render the Kahuku Municipal Golf Course into oblivion. 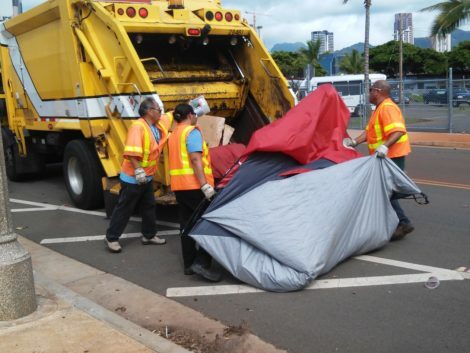 The mayor can be contacted at 808 768-4141 or mayor@honolulu.gov.